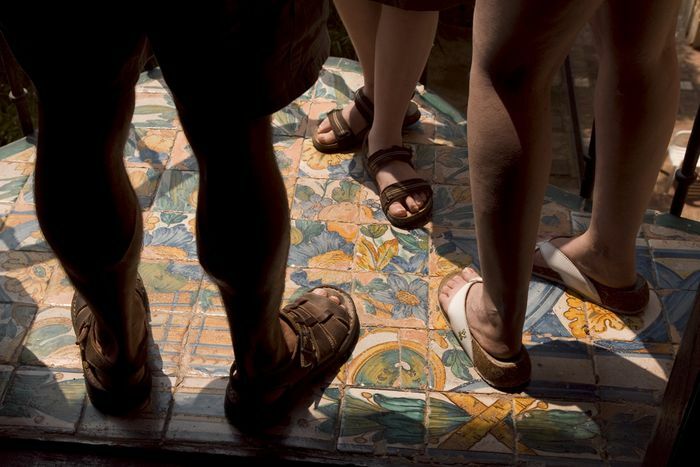 In summer, Spanish towns and cities fill up with "guiris" - especially in coastal areas. We all know who we're referring to - so much so that we can spot them with great certainty. But why have tourists in Spain ended up with this "nickname"? What exactly does "guiri" mean? Where does it come from? You bump into him along the sea front and smile: he's as red as a tomato after having spent too much time in the sun - something he's not used to - and he's wearing the classic socks with sandals and maybe a sombrero or baseball cap; he's somebody who even goes for a stroll with a bum bag - something he'd never wear in his home country. Yep... a classic guiri. 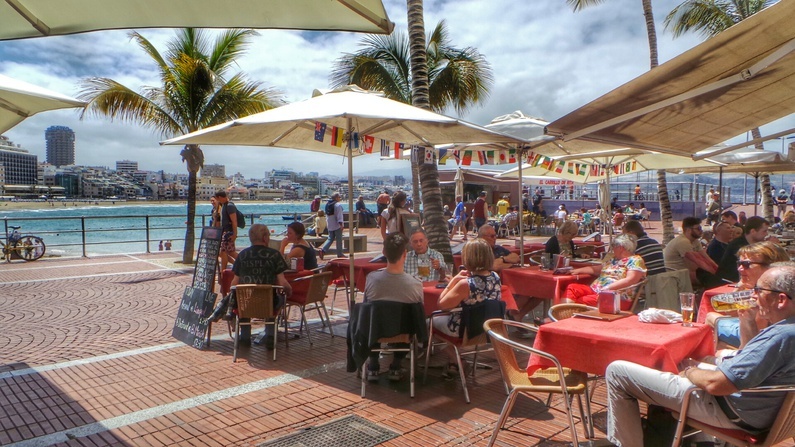 You can also find him sat in front of a pitcher of sangría and a serving of paella that you, as a Spanish person, probably wouldn't eat yourself. But, who are these guiris? 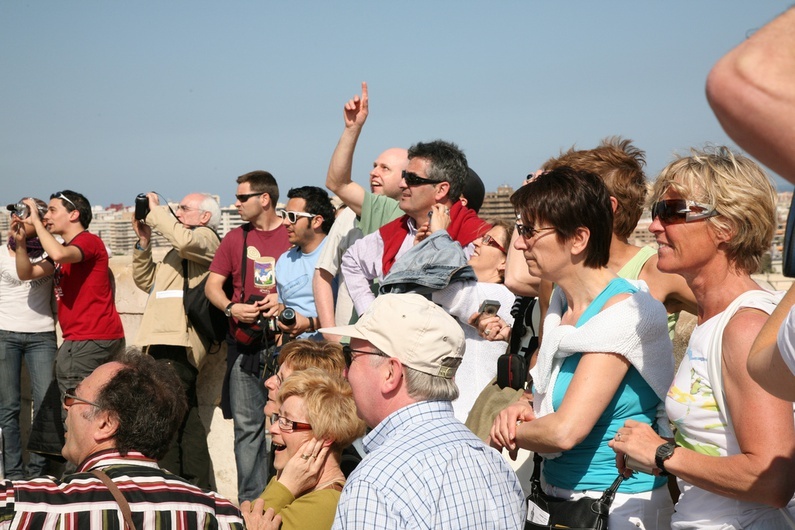 Although we originally used to identify guiris as tourists from Northern Europe, today it seems that a guiri is any visitor to set foot in our most iconic cities and coastal areas. In fact, according to the Real Academia Española, the Spanish language authority, the word "guiri" in colloquial Spanish means: "foreign tourist" with no further distinction made. To identify los guiris you simply need to take a peek at the mental checklist of clichés that the Spanish tend to associate with this word and that we also mentioned at the start: almost all of them fit. I ask my colleagues here at Cafébabel if they know what a "guiri" is and I'm surprised to discover that most of them don't know that they themselves would be called the very same thing if they visited our country. We Spanish think it's common knowledge! So I find myself explaining a list of clichés which many don't identify with and that, despite admitting reluctantly that they could be true, they associate with "the older generations." "But why guiris?" they ask me. "Where does this word come from?" I then realise, even though it's me who's been explaining to them who los guiris are, that I have no idea why we give tourists in Spain this name. Where does the word "guiri" come from? The Real Academia Española sheds some light on the issue: "A name which, during the civil wars of the 19th Century, the Carlists gave to followers of Queen Cristina and later to all the Liberals, in particular government soldiers". It seems that this is the origin of the word "guiri", since followers of Queen Cristina were called "guiristinos" (cristinos) in Basque. It's believed that the term was brought back to life in Spain in the 1960s, in the shortened form "guiri", when the liberal mentality of foreign visitors to the country in the first few years of our economic recovery collided with the traditionalist ideology of Franco's regime. In spite of this, there are also those who believe that the word partly evolved through the influence of the term "guirigay" ("commotion" or "gibberish"): the loud confused clamour people make when they can't understand what the other person's saying and which would also be connected to the language that foreigners use. However, tourists coming to Spain shouldn't make the mistake of thinking that "guiri" is necessarily a derogative term, even though it was originally. The reality is that nowadays, Spanish people have taken the term "guiri" to the extreme and now we don't only use it to refer to all foreign visitors who come to Spain but for tourists coming from every country - this now means even us! At famous sites in any European city, who hasn't found themselves surrounded by people taking photos and ended up blurting out: "Oh my God, it's full of tourists!"? Yes, exactly! Guiris!